New Delhi: Even as the government refuses to admit any lapse on the part of security and intelligence agencies in the terror attack at Punjab’s Pathankot airbase, doubts have started circulating over the fool-proofness of the intelligence-security ecosystem in the country. Defence experts and former top servicemen feel the attack is the result of the failure of the “entire system’’. Till news came in last, seven Indian security personnel had died in the attack and there’s still no clarity on whether more terrorists are holed up at the base. The questions that are being raised are many: How can a pinpointed intelligence input – if any – be ignored? Why was the perimeter of the Pathankot airbase not secured despite warnings? How is it that the first information of the armed infiltration given by a Punjab Police officer who was abducted by the terrorists disbelieved? How is it that another infiltration takes place along the very same nullah by which the previous attack had come only recently? What was the Border Security Force doing? Where are surveillance equipment and night vision devices? Why was the National Security Guard (NSG) sent in when the Army has a crack Special Forces unit nearby at Nahan? Why was Delhi trying to micromanage when it clearly lacks the competence? “India has not learnt any lesson from previous operations carried out by Pakistan against us. We shout for two days and then it is the business as usual. It is a shame,” Major General (retired) Satbir Singh told Firstpost. How can this operation, he asked, be called a professional operation when the terrorists managed to come 25 km inside near the area where we have vital air assets and seven people were killed in 36 hours and 20 seriously injured. “It means our intelligence agencies are not working at all. There is no co-ordination. There is no actionable intelligence,” he alleged. The Army veteran refuses to accept the assault is a terror attack. He says it is a military operation by Pakistan. “The nation has been defeated by terrorists of Pakistan. So, they are not terrorists. It is a military operation against us by ISI and the Pakistan Army. You (the government) have permitted the terrorists to enter our territory and kill so many people,” he said. 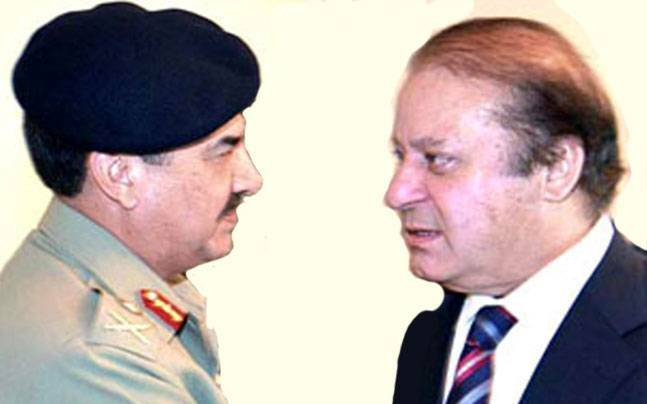 Raheel Sharif vs Nawaz Sharif: Pakistan army chief knew about Pathankot attack? The Indian political establishment has been informed at the highest levels that the Pathankot attack has been carried out with the full knowledge of the Pakistan army chief General Raheel Sharif. The combined inputs of India's intelligence agencies suggest that the Pakistan army is not fully on board with Nawaz Sharif's efforts to forge peace with India. At a meeting recently, Pakistan's Army Chief Gen Raheel Sharif reportedly told Pakistan PM Nawaz Sharif that he was free to pursue talks with PM Modi if he wanted, but the Pakistan army will take no action against Pakistan-based terrorists who were operating against Indian interests. Since December 2014, Indian agencies say the ISI has been working on reviving the fortunes of the Jaish-E-Mohammad. Over the past few years some elements of the Jaish had merged with the Lashkar-E-Jhangvi, which had been staging attacks in Pakistan. Indian agencies believe that the effort to revive the Jaish is part of the effort to ensure that the Jaish cadre remain committed to fighting against India and do not train their guns on Pakistan. The Lashkar-e-Jhangvi is a Sunni extremist group based in Pakistan. The LeJ has claimed responsibility for various mass casualty attacks against the Shia community in Pakistan, including multiple bombings that killed over 200 Hazara Shias in Quetta in 2013. It has also been linked to the Mominpura Graveyard attack in 1998, the abduction of Daniel Pearl in 2002, and the attack on the Sri Lankan cricket team in Lahore in 2009. A predominantly Punjabi group, the LeJ has been labelled by Pakistani intelligence officials as one of the country's most virulent terrorist organisations. Indian intelligence agencies believe that the terrorists who infiltrated across the border were trained by ISI handlers and were adept at commando operations quite like the 26-11 attackers. The most popular man by far in Pakistan is the Army chief, Gen. Raheel Sharif. Many Pakistanis seem to see Raheel Sharif as a messiah who is saving the country from terrorism, corruption and all manner of social ills. Gen. Sharif’s image is popping up across the country. He appears in banners thanking him for restoring law and order in the chaotic city of Karachi, on the backs of rickshaws and politicians running for local elections have even used his image. His image appears in campaign literature produced by Imran Khan’s Tehreek-e-Insaaf party. And also on the package of “Captain Men” brand of men’s underwear, no doubt giving many strong Pakistani men a sense of security? The general has even gone digital with the hashtag ‪#‎ThankYouRaheelSharif‬ appearing on Twitter and Facebook. The hashtag first appeared after the attack on an army-run school in Peshawar on 16 December 2014. The army chief seemed to lead the effort to catch and punish the militants responsible for killing 150 people, mostly schoolchildren. On November 30, 2015 he signed the death warrants of four militants convicted by a special military court established after the massacre. Pakistan also lifted the moratorium on death penalties after the attack. Since then over 300 convicts have been hanged across Pakistan. He also signed off on the decision to punish several officers who were found to have failed to protect the children massacred in the army-run public school in Peshawar. The military holding its own to account is rare and welcome — and Sharif gets much credit for doing so. Gen. Raheel Sharif hails from a well-known Rajput Mussalman military family with roots in Punjab. His father, Rana Muhammed Sharif, was a Major in the Pakistan Army. His eldest brother Major Rana Shabbir Sharif was killed in the 1971 war and was awarded Pakistan's highest military award, Nishan-e-Haider posthumously. Another brother, Captain Mumtaz Sharif was recognized for his bravery and was awarded Sitara-e-Basalat. Raheel Sharif is also a nephew of Major Raja Aziz Bhatti, another Nishan-e-Haider recipient for his gallantry in 1965. 'It sounds hollow when the military -- the last bastion meant to secure India within the State of India -- is itself not found secure on the third day of the Pathankot strike, in spite of so-called definitive intelligence inputs and preparations,' says Lieutenant General Anil Chait (retd), former chief of the Integrated Defence Staff. 'Military arsenals by themselves cannot ensure this as the quiver of 4th Generation Warfare has several other Shastras such as cyber, drugs, counterfeit currency to name a few, to derail the Indian growth story in the South Asian context,' says General Anil Chait. Securing the Pathankot air force base and neutralising the terrorists is still 'ongoing' at the time of writing this article. There are several issues that arise on the political plane as they have risen earlier, on who really is in charge of all aspects of the Pakistani government, particularly its military security apparatus. The complicity of that nation's military establishment is obvious, in view of the usage of proxies and support to them, even if its personnel may not be participating directly. Quite clearly, Mr Nawaz Sharif has no control over a parallel establishment in Pakistan, which sanctions such attacks. Dealing with India is not within his jurisdiction and agreements made with him in the present circumstances therefore cannot be expected to be honoured. 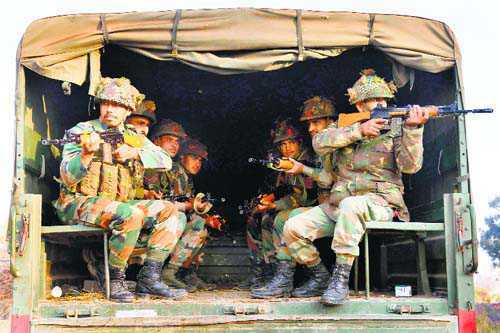 While the political aspects of the Pathankot fallout will no doubt be actively discussed over the next few weeks, it is the military aspects that emerge from the two days of the ongoing battle that require to be addressed. This time, 'fidayeen' elements have struck against the Indian Air Force (military and security installations) rather than striking at defenceless mass of civilians. Questions are being raised over India’s response to the attack on the air base in Pathankot and many of them are valid. Just how could extremists breach the high walls of the highly-protected base when concrete intelligence was available hours in advance is only one such question. The first credible report came from within the security establishment; from the superintendent of police whose car was hijacked by the militants. He quickly informed the control room and his seniors that at least five terrorists were on the loose. Close to the Pakistan border, Pathankot is an important area where many defence establishments are based. An entire army division is headquartered there, as is the IAF base that came under attack. The security establishment responded quickly, sending elite National Security Guard commandos to Punjab. All defence establishments based around the area were alerted and quick-reaction teams readied. Yet, despite the high alerts, the terrorists managed to engage the security establishment comprising the air force, army and NSG for around 48 hours. Home minister Rajnath Singh first tweeting that all five terrorists were killed and subsequently deleting it is evidence of just how botched up the response was. “There was confusion on the ground and a clear lack of command and control. Too many cooks spoil the broth,” a senior officer involved with the operation told HT. Confusion clearly prevailed on the ground in Pathankot with elite forces unaware that they hadn’t neutralised all terrorists in the air base. And just how did the terrorists cross over? What if the SP’s car hadn’t been hijacked? Before the SP was stopped, the terrorists had already managed to sneak across the international boundary (IB) and kill the driver of an Innova car. That India has learnt few lessons despite repeated attacks -- including the 2008 Mumbai strike – is evident from the fact that the Pathankot attackers crossed the border from virtually the same place as those who were responsible for last year’s attack in Gurdaspur. The Border Security Force said it deployed additional troops in this area after the July attack but the hard fact is the Pathankot terrorists came in undetected. Some things about the attack on the Pathankot IAF base are obvious. First, something is seriously wrong with our border management in the area. Despite the fencing and presumably heavy patrolling, Pakistani militants seem to get through with surprising ease. This is the fifth attack in the area since September 2013, which follows a near identical pattern. 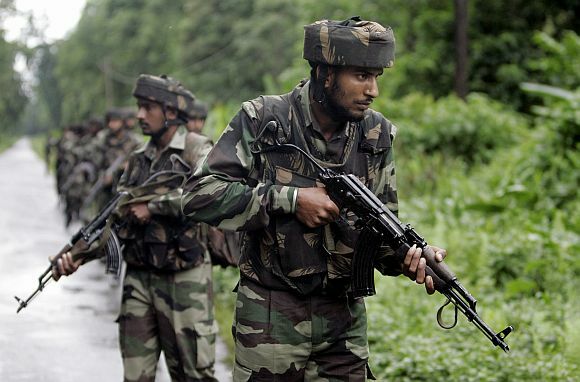 A small group of militants, dressed in army fatigues, crosses the international border in Jammu & Kashmir which runs roughly parallel to National Highway 1A in a south-easterly direction from Jammu to Kathua and then loops south at the Ravi river to Pathankot and Gurdaspur. After crossing the border they hike – and in this case, they apparently summoned a taxi and later hijacked an official vehicle – to get to the highway which is some 10-15 kms away and head for a target, usually a police station, an army camp and in Pathankot, the airbase. This is heavily serrated riverine terrain which is not easy to police, but surely by now India should have gotten its act together. It is not clear whether the Border Security Force has thermal imagers in the area; they do have low light TV surveillance equipment, but it is often unserviceable. Second, the attack is almost certainly instigated by elements of the deep state, which means the Inter Services Intelligence (ISI) directorate of the Pakistan Army. Five or six armed men cannot simply walk through the heavy Pakistani defences in an area which formed part of a major military thrust by India in the 1971 war. The third issue is the poor quality of the policing in Punjab. Despite the July 2015 attack on the Dinanagar police station, very near to the point where Punjab Police SP Salwinder Singh was abducted, the police response was worse than flat-footed. They took anywhere between 12-14 hours to come to the conclusion that their SP’s account of his abduction meant that a serious national security emergency was on hand. Whatever scattered accounts of the incident we have been getting indicates that its handling, too, has been flawed, if not downright shoddy. Government officials themselves admit that they had enough advance information of a possible attack. Punjab police chief Suresh Arora acknowledged that the presence of the militants had been confirmed by Friday And thereafter 168 NSG commandos led by Maj-Gen Dushyant Singh had been flown in from New Delhi. The prime minister should revisit his predecessor's brave initiative regarding Iran in 1993. The terror strike at the Pathankot air base on Saturday once again brings to the fore the question of whether New Delhi should push for closer ties with Islamabad even though it is clear that this strategy lacks national consensus. From available indications, it seems that the terrorists crossed over into India two or three days after Prime Minister Narendra Modi's stopover in Lahore on December 25. A link between the two events seems inconceivable. Yet the narrative has come to focus on the very efficacy of India-Pakistan dialogue. There is a sense of triumphalism among many of those who oppose dialogue with Pakistan. They believe that their so-called hardline thinking – "no dialogue while terrorism continues" – stands vindicated. On the other hand, the advocates of dialogue have gone on the defensive. This polarisation of opinion in favor of the hardliners may not be a true reflection of the mainstream opinion. But in the absence of a national consensus, it is yet to be rejected. The government faces the same dilemma that gripped the dialogue process during the Congress-led United Progressive Alliance regime: the voices of reason and moderation are allowing themselves to be overwhelmed. Prime Minister Narendra Modi would be well served if he were to take a leaf out of Narasimha Rao’s practice of statecraft in the early nineties to push the initiative on Pakistan. The year was 1993, circa June. The Babri Masjid had been destroyed six months before. As the anger in the Muslim world was still overflowing, Rao took a controversial decision to pay a path-breaking visit to Iran. It was entirely Rao’s decision; the South Block bureaucracy was merely informed about it. The opening to Iran resulted from an acutely felt need to acquire more space in India’s diplomatic manoeuverings, in particular with regard to the Kashmir problem. This was because for the first time in the post-Cold War world, after several decades of seamless Soviet support, Delhi was being called upon to handle the issue on its own on the international stage. Given the US's unfriendly attitude toward India in the full flush of the victory over socialism, it made additional sense to cultivate Iran, a powerful voice in the Islamic world and a country that is rooted in safeguarding its strategic autonomy. The opening to Tehran was borne out of strong compulsions, not of whimsical choice. Nonetheless, Rao was apprehensive about how his minority government would defend itself against adverse domestic public opinion. At the time, India was a hopelessly polarised polity. Besides, Iran had been a strident critic of the tumultuous happenings in India in late 1992 and early 1993. Rao directed that someone from Ministry of External Affairs should go over to meet the Bharatiya Janata Party's’s Great Helmsman at that time, LK Advani, to explain the raison d’être of the Iran opening, and try to carry the saffron party along. On the instructions of JN Dixit, the foreign secretary at the time, I undertook the mission. I began with trepidation when Advani received me at his Pandara Road apartment. The second day of the year saw a daring terrorist attack on one of the strategic airbases in Pathankot with firing still going on while these lines were being written. The initial news indicates that the attack was engineered by Jaish-e-Mohammad, a Pakistan-based outfit headed by Maulana Masood Azhar, one of three terrorists freed by the earlier NDA Government in exchange for the release of 176 passengers aboard a hijacked Indian Airline flight in 1999. Inputs received by National Security Adviser and analysis of technical intelligence, after the terrorists `kidnapped' a SP rank officer, helped in the advance positioning of elite security teams and thereby avert what could have been a bigger tragedy. The important question is how did these terrorists reach the air force base in spite of advance intelligence and our specialised security forces being there? Another issue of concern is why did the huge posse of security forces take such a long time to neutralise the attackers who had succeeded in entering the airbase? The role of the local police will once again be under scrutiny. This is especially because hijackers used a beacon-fitted SUV to reach the air base even after the police has been informed about the SP's kidnapping and the hijacking of his vehicle in an area not only close to the border but witness to a dastardly attack on a police station only six months back. The Punjab Police failed to follow up the available intelligence and take all possible steps to locate and prevent the movement of terrorists toward the air base. The history of internal security tells us that how a well motivated and well geared up Punjab Police and Andhra Police became shining examples of local police by turning the tide against terrorists and the left wing insurgents, respectively. The local police must be in the forefront of any anti-terrorist operation. Besides gathering intelligence and identifying the local support available to such elements, it should train and equip itself to rise to any such challenge at a short notice. The news photos and video footage of the incident indicate that the Punjab Police men deployed around the vicinity of the base were poorly equipped and undertrained just as they were at the time of action in Gurdaspur in July 2015. The State Police has obviously not learnt any lessons from the Gurdaspur incident. As regards time taken by the security forces for neutralising the terrorists, it may be too pre-mature to make any comments unless complete details are known. In any case, many factors such as efforts to avert collateral damage could be one of the major factors in determining the intensity of such operations. Here in the United States, we have gotten used to cash being the default payment method when other payment methods are not accepted or fail for one reason or another. But a few years ago, I had the pleasure of traveling to a country where cash was pretty much the only acceptable payment method. My experience there really made me appreciate the existence of mobile money transfer (MMT) services like M-Pesa. These MMTs are rapidly spreading across the developing world. Unfortunately for me, however, I had no access to an MMT in the country I visited. In 2010, my wife was sent on a three-year assignment to her employer's Asian offices in Singapore. During one of my periodic visits, my wife and I vacationed in Myanmar, also known as Burma. Myanmar has a predominately cash-based economy. Let me provide a little geography and history. Myanmar is bounded by Bangladesh, India, China, Laos, and Thailand. Before independence in 1948, it was ruled by the British, except during World War II, when the country was occupied by Japanese troops. At the end of the war, the country reverted to British rule. In 1962, a military coup led to nearly 50 years of military rule. In the year we visited, fewer than 600 tourists arrived at the international airport in Yangon, the busiest airport in the country. Before our visit to Myanmar, we wired funds to a tour operator's account in Thailand to pay for the services of a driver, a guide, and some of our lodging. We estimated that we would need about $3,000 for the rest of our travel expenses during our three-week visit. At the time of our visit, Myanmar was under stringent trade sanctions due to the repressive military regime, so no international payment networks operated in the country. Consequently, the coin-of-realm for international tourists was U.S. hundred-dollar bills that could be exchanged for kyats, the local currency. Chinese President Xi Jinping (L F), confers the military flag to Li Zuocheng (C F), commander of the Army of the Chinese People's Liberation Army (PLA), and Liu Lei, political commissar of the Army, in Beijing, capital of China, Dec. 31, 2015. The general commands of the PLA Army, Rocket Force and Strategic Support Force were founded on Thursday. China on Friday unveiled further details of one of its largest military reforms, launching three new bodies of the People's Liberation Army (PLA), including an army command, an upgraded missile force and a special force for space and cyber wars. This is part of China's key reforms aimed at enhancing the Communist Party of China's (CPC) leadership over the military, and boosting the PLA's combat capabilities by establishing a modern military system. The name change to the Rocket Force from "Second Artillery Force" also shows China's determination to enhance military transparency. It will also impose strong strategic deterrence, he said. Reiterating its no-first-use nuclear weapons policy and defensive nuclear strategy, spokesperson Yang Yujun said at a press conference that China's nuclear policy remains consistent, and China always keeps its nuclear capability at the minimum level required for safeguarding its national security. "We will strive to build a strong and modern Rocket Force," he said. Yang did not get into much detail about what the Strategic Support Force is, but said it is a force which combines the strategic, basic and support resources of the country's new type of combat forces. But Song said this new force is mainly aimed at providing resources capable of protecting China's cyber and space security. Throughout the Christmas-New Year break, The Interpreter will be featuring some of its best pieces from 2015. More to come between now and January 4 when The Interpreter will be back for 2016. South China Sea: Does Xi have a grand strategy?, by Linda Jakobson, 13 January. I do want to emphasise, however, that the word 'chaos' or 'chaotic' does not appear anywhere in the report. I do not view Chinese maritime security decision-making as chaotic. This brings me to an observation made by Michael McDevitt. On the basis of Xi's willingness to make politically 'courageous' moves in his anti-corruption campaign, McDevitt questions my argument that Xi and other top leaders find it difficult to publicly disagree with officials or entities that announce or execute counterproductive stances associated with 'safeguarding China's sovereignty'. This is an important and possibly a valid point, which I have contemplated while watching one senior official after another being investigated. Nevertheless, on the basis of discussions this past September and November in Beijing about the anti-corruption drive, I came to the conclusion that there are different dynamics at play. The 'rights consciousness' movement (which Xi himself has spurred on) is so strong that it does at least to a degree deter Xi from going against the tide on matters involving sovereignty. Obviously, time will tell if I am mistaken. The PLA's missile strike force, an independent unit at par with the army, navy and airforce, has carried out exercises to test its personnels' ability to launch multiple missiles in war. State television CCTV showed the missile force, which has been re-designated as People's Liberation Army's Rocket Force (PRF) with Strategic Support Force (SSF) providing cyber and electronic backup, conducting exercises. The drills were aimed at testing the emergency response and defence capabilities of the force, which was launched by President Xi Jinping at a ceremony here two days ago, the report said. Soldiers need to launch the missiles independently and the combat capability calls for more practice, an officer, who took part in the drills, said. The exercises were aimed at testing the capability of the soldiers to launch various missiles independently, the report said. It is an annual plan of the force which will focus on collective launch of various types of missiles and test various types of missiles in a war-like situation using information technology, the report said. Inaugurating the forces, Xi who is the Chairman of the powerful Central Military Commission (CMC) which oversees all military forces, said the formation of the PRF and SSF is a major decision by the ruling Communist Party of China (CPC) to realise the Chinese dream of a strong military, and a strategic step to establish a modern military system with Chinese characteristics. Viewed from a Western perspective, 2015 was defined by the predations of Isis. The year opened with killings in Paris, and it drew to a close with attacks on youth and pleasure in the same city. In between, Western tourists, many of them British, were gunned down in Tunisia; in Syria, what remained of the classical city Palmyra was ravaged; and a Russian tourist flight crashed in Sinai, believed to have been brought down by a bomb. Each new atrocity prompted a fresh amplification of alarmist rhetoric. After the Tunisia attacks in June, David Cameron described the fight against Isis as the “struggle of our generation”, stating the terrorist group presented an “existential threat” to the West. When MPs voted to extend anti-Isis air strikes to Syria earlier this month, their speeches were peppered with references to fascism. Before the Russians sent their air force into action in Syria, President Putin called for a broad international alliance, such as the one that had defeated Hitler. There was the inevitable fear of a fifth column, too. As many as 2,000 young Britons had become warriors or brides for the Isis cause, we were told – even though the number of jihadis remains proportionally tiny. The war had to be waged here as well – with travel bans, withdrawn passports, deterrent prison sentences, and millions more pounds for enhanced surveillance. So we enter 2016 with the barbarians of our day at the gates, even within our city walls. But are they really? And what might it mean for UK and Western policy generally if they weren’t? The cover of a recently released DAESH manual intended for lone wolf terrorists in the United States and other English speaking countries. On October 18, 2015, a DAESH promoter posted a 63-page English-language manual entitled Safety and Security Guidelines for Lone Wolf Mujahideen on Twitter. Reportedly, three former members of Saddam Hussein’s intelligence service now with this jihadist organization in Raqqa, Syria, produced the document, which was adapted from an older al-Qaeda online Arabic language course. The new manual advises clandestine small-cell and individual jihadist terrorists operating in Western countries on how to maintain security. Although these guidelines are based on al-Qaeda doctrine and tactics, they have been updated to include the latest technology and thinking. With the manual’s publication, DAESH has demonstrated its intention to create a new hybrid war weapon in its arsenal against the United States—a hidden weapon designed to be difficult to trace operationally back to the jihadist organization or to detect before an operation is executed. In the wake of the DAESH attacks on Paris on November 13, 2015, the United States and other English-speaking allies would do well to consider the instructions contained in this terrorist manual as another significant warning. ISIS is a revolution All world-altering revolutions are born in danger and death, brotherhood and joy. How can this one be stopped? With almost sudden spurt of Islamic State of Iraq and Syria (ISIS) led terror activities particularly in Iraq and Syria in the recent past, though the entire West Asia has become a burning cauldron of terror for the last many decades thereby turning the region into a virtual war zone, a new dimension in the phenomenon of terrorism is being seen in the world where hapless innocents are being butchered or shot dead in their forehead or back, or being burnt alive in a cage, or hanged upside down ultimately for killing and several hitherto unknown inhuman ways and these cruelties are being recorded to make viral on internet so that entire population upon earth may watch to their utter dismay and disgust. Besides causing several adverse indelible impacts upon the normal human psyche, the continuing ghastly massacre by the ISIS in the region has resulted into an uncontrolled mammoth flow of migrants/ refugees from West Asia into Europe thereby raising the issue of geo-politics, a study which deals with relations between geography and politics. Unlike Al-Qaida, the ISIS has never been a hit-and-run jihadist group as its leader Abu Bakr al- Baghdadi has had his political ambitions very clear since 2013, when he fought for territories in Syria and Iraq and steadily expanded its reach, capitalising on the power vacuum created in these two countries by the wars led and sponsored by the West and their regional allies. The ISIS now controls territories as large as Great Britain and comprising some 10 million people. But of late, under counter-attack from different militia groups such the Peshmerga, Hezbollah and the Kurdistan Workers’ Party (PKK), the ISIS’ expansionary project has come under enormous pressure. Meanwhile, an entire continent has developed a siege mentality and European countries are being compelled to review and change their laissez-faire procedures and security doctrines under the huge pressure of uncontrolled flow of refugees from West Asia and other regions, besides terrorism. Obviously, terrorism or any kind of uncontrolled violence perpetrated upon innocents for long in the past had resulted into large scale displacement of communities all over the world as everybody wants safety and protection of one’s life and person. But that raises many demographic as well as economic and political issues as huge influx of refugees tends to change the composition of existing native population as happened in India’s Pak-occupied Kashmir (POK) in the state of Jammu and Kashmir immediately after independence where thousands of Pakistani tribal population, under instigation of Pakistan’s government, intruded into valley and settled down there and that has fundamentally changed the demographic character of the valley today. The same had also happened in Palestine’s Gaza strip where native Palestinians were uprooted from soil by Israeli army and Jews population were brought to settle down there during long course of past decades in the previous century. Earlier, the long course of second-World War saw the division of Germany into East and West thereby weakening its position as a powerful nation. Even much earlier, the painful Thirty-Years War causing ‘Balkanisation of Europe’ during 17th century brought to close by the famous Peace Treaty of Westphalia of 1648 had traumatised the consolidated power of Europe and that fear again looms large due to continuing civil wars in Syria and Iraq which has now metastasised into Lebanon, Jordon, Turkey and now into Europe. Thus terrorism or war has its marked impact upon geo-politics of a country or a continent. BOOKS that focus on what happened in a particular year have become a publishing phenomenon. So Keith Jeffery, a British academic historian whose last work was a fascinating, if slightly plodding, official history of Britain’s secret intelligence service, MI6, must have thought it a clever idea to go for 1916, the midpoint of the first world war. Mr Jeffery’s purpose is to show that not only was it a year of tremendous events, but one in which the effects of the war spread across most of the world, often with consequences that can still be felt a century later. By 1916, the war that some had believed would be over by Christmas 1914 had become an attritional slog on both the largely static Western Front and on the rather more fluctuating front in the East. To break the deadlock, the general staffs of all the main belligerents continued to work on new tactics, such as the creeping artillery barrage, and to seek new technologies, including the tank, which first saw action in September 1916. Contrary to a widely held view, the second half of the war was a period of unprecedented military innovation. The idea that sheer offensive élan could overcome well-entrenched defences equipped with modern weaponry, in the form of accurate artillery and the machine- gun, had died during the appalling bloodletting of late 1914. In the four months before the war of movement in the West ground to a halt, France and Germany had between them suffered over 1.5m casualties—a loss rate that was not exceeded until manoeuvre returned to the battlefield in the final months of fighting. By 1916 most of the soldiers on both sides had not only lost faith in imminent victory, but had become fatalistically resigned to the war as permanent crucible for their generation which civilians and politicians at home could not begin to comprehend. Russia and Ukraine have spent most of their post-Soviet history as Siamese twins, but for the last two years they've been undergoing political and economic separation surgery. It will probably be more or less complete in 2016, and though both twins are in for a grim period, the weaker one, Ukraine, has the better prospects in some ways. Ever since Ukraine declared independence in August 1991, it sought to establish an identity that would set it apart from Russia. Its second president, Leonid Kuchma, even published a book called "Ukraine Is Not Russia" in 2003. In practice, however, Ukraine kept following its bigger neighbor even through its failed Westernization period of 2005 to 2010. It inherited the same basis for its legal system and government -- the Soviet bureaucracy -- and even attempted reforms often imitated Moscow's moves. When I moved from Moscow to Kiev in 2011, I felt no discomfort: Everything, from bureaucratic procedures to the pervasive corruption that made a mockery of them, was largely the same in the two countries. Economically, Ukraine remained Russia's colony. In 2013, its trade turnover with Russia, at $31.8 billion according to the official Ukrainian statistics agency, reached 28 percent of its total trade. For Moscow, Ukraine wasn't as important, but it was still its fifth biggest trading partner with a 5 percent share of turnover. That last peaceful year, 6.1 million Ukrainians, out of a total population of 45.5 million, visited Russia, about two-thirds of them to work. Only Poland, Ukraine's entry point to the EU, received slightly more visitors. Russian rulers got used to this. Even this year, Russian President Vladimir Putin contended that "Russians and Ukrainians are one nation." It's no longer true: The last two years, since Ukraine's "Revolution of Dignity," the Russian annexation of Crimea and the Russian-backed insurgency in eastern Ukraine, have seen perhaps the biggest breakup between neighboring, closely interconnected countries in post-World War II history. In 2014, only 4.6 million Ukrainians traveled to Russia -- less than two-thirds as many as to Poland. This year's statistics are not in yet, but another drop in travel to Russia is highly likely, because Moscow has been tightening regulations to make it harder for Ukrainian migrant workers to stay indefinitely and because, as of last summer, there are no more direct flights between the two countries. Besides, starting in mid-2016, Ukrainians will be able to travel visa-free to the European Union, which will likely make travel to Europe vastly more popular. In one of his last interviews, the historian Tony Judt lamented his “catastrophic” Anglo-American generation, whose cossetted members included George W Bush and Tony Blair. Having grown up after the defining wars and hatreds of the west’s 20th century, “in a world of no hard choices, neither economic nor political”, these historically weightless elites believed that “no matter what choice they made, there would be no disastrous consequences”. One cannot but think of the reality it made as mayhem in Asia and Africa reaches European and North American cities. But those of us from countries where many Anglo-American institutions were once admirable models have their own melancholy reasons to reflect on their swift decay. As another annus horribilis lurched to a close, the evidence of moral and intellectual sloth seemed unavoidable. In the Christmas issue of the Spectator, Rod Liddle described Calais as “a jungle of largely Muslim asylum seekers aching to get into Britain – presumably to be hugged” by “the liberals”. In an interview in the same issue, the prime minister confessed that Liddle “does make me laugh”. The chumminess seemed to confirm Amit Chaudhuri’s strong recent “impression”, acquired from BBC documentaries about India, that Britain comprises “male buddies”, whose “capacity for spontaneous insight isn’t that far away from that of Jeremy Clarkson”. The rise of the Islamic State in Iraq and the Levant (ISIL) to global infamy immediately trigged questions about appropriate strategies to tackle the group. Suggested strategies to defeat or pacify ISIL range from pursuing a containment policy that causes it to either “implode” or become “socialized” into the modern state system, to a “hammer and anvil strategy” that relies on local allies and airpower, to literally destroying the organization by putting Western boots on the ground. The viability or effectiveness of these strategies, in turn, depends on a simple question: What is the best way to understand the phenomenon of ISIL? The existing answers boil down to four competing interpretations: ISIL is best seen as (1) a terrorist organization (or, al Qaeda redux), (2) a band of medieval fanatics bent on utopian and otherworldly ideals, (3) an insurgency, or (4) a proto-state. 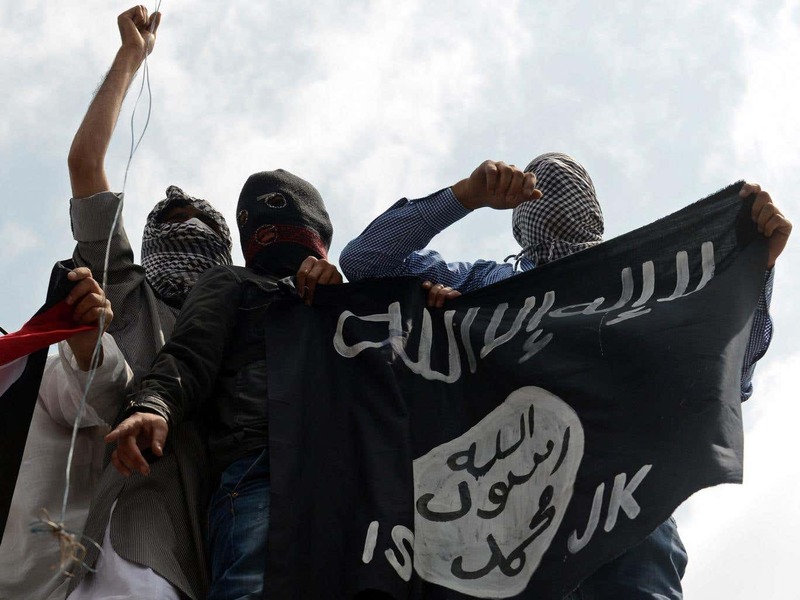 An early interpretation of ISIL suggested that the organization was either a “jayvee team” of al Qaeda or the next step in the evolution of transnational jihadist terrorism. While this perspective has become less popular, there are still a number of reasons to take it seriously. First, the organization’s jihadist ideology, at least to an extent, resembles that of al Qaeda. They cite the writings of many of the same ideologists and strategists. Second, just like al Qaeda, ISIL makes heavy use of terrorist attacks. Third, ISIL also appears to be interested in franchising its brand, a tendency that has been the trademark of al Qaeda from its inception. If ISIL is in fact al Qaeda redux, analysts should further study al Qaeda’s ideology and strategic playbook, and policymakers should focus on breaking ISIL’s network of franchises and alliances as well as cutting external financial support. 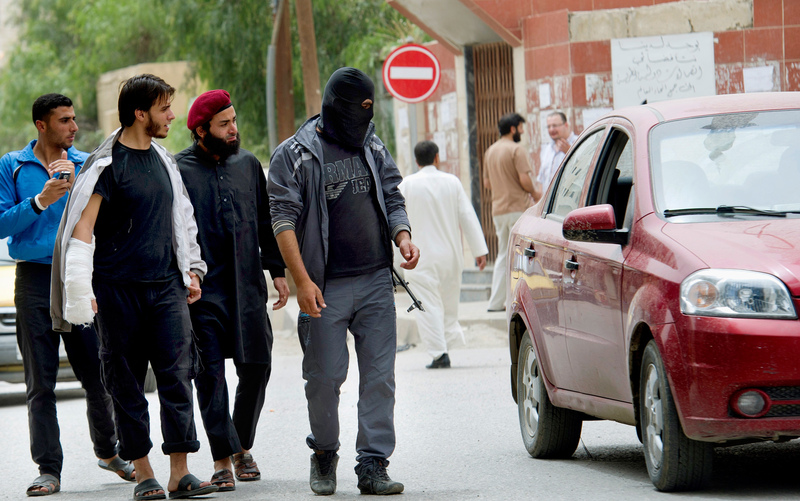 However, it would be a mistake to think of ISIL as al Qaeda redux. While both organizations desire a global caliphate, their organizational structure and short-term goals are fundamentally different. Al Qaeda is a network whereas ISIL is decidedly a territorial entity that literally lives off the land (and a local tax base). While al Qaeda has long maintained that the caliphate should be founded at some point in the future (and only when the conditions are ripe), ISIL has already established a polity that it calls a caliphate. Of equal importance is the sectarian element; while al Qaeda often chooses to underplay the confessional differences among Muslims, ISIL is decidedly sectarian, defining Shias as a primary target. This, in fact, was one of the disagreements that led to the split between al Qaeda in Iraq (which became ISIL) and al Qaeda “central.” Furthermore, al Qaeda’s “franchising” has been highly selective and involved some degree of oversight. For ISIL, franchising is carried out almost indiscriminately, as the organization seems more interested in receiving as many bayahs (pledges of alliances) as possible from all over the world. Furthermore, there is little, if any, evidence suggesting that ISIL exercises oversight over (or provides direct support for) its affiliates (with the ISIL affiliate in Libya being the outlier case, though the salience of the association is still being debated). In sum, despite the organic association between al Qaeda and ISIL, the latter can hardly be defined as an incarnation of the former. Overall, the 2009 document was much more aspirational about opportunities and plans for development, while its successor is much more focused on challenges, problems, and threats — and it is not afraid to point the finger at where they come from. France and Russia’s military responses to mass murders in Paris and Egypt echo the U.S. response to mass murders in New York, Washington and Pennsylvania in 2001. Islamic State (IS) has welcomed this warlike response to its latest atrocities. Al Qaeda similarly counted on an aggressive response to September 11th. The US invasions and occupations of Afghanistan and Iraq and the concentration camp at Guantanamo became the most valuable assets in its propaganda and recruiting campaigns, now complemented by the terror of drone strikes and bombing campaigns in Syria and Iraq. – The U.S. and its allies have conducted over 120,000 air strikes against seven countries, exploding fundamentalist jihadism from its original base in Afghanistan to an active presence in all seven countries and beyond. – U.S. invasions and occupations of Afghanistan and Iraq and “lead from behind” wars in Libya, Syria and Yemen have left swathes of each country in chaos and under militia rule, exactly the safe havens that the “war on terror” was supposed to eliminate. – Since 2001, U.S.-led wars have killed about 1.6 million people, or 500 times the number of people killed by the original crimes of September 11th. Disproportionate use of force and geographic expansion of the conflict by our side has led to a proliferation of violence on all sides. – War, occupation and chaos have driven 59.5 million people from their homes, more than at any time since the Second World War. – Since 2001, the U.S. has borrowed and spent $3.3 trillion in additional military spending to pay for the largest unilateral military build-up in history, although less than half the extra funding has been spent on our current wars.